Chania is located in the north-western part of Crete and the entire area is often called the Chania Coast. 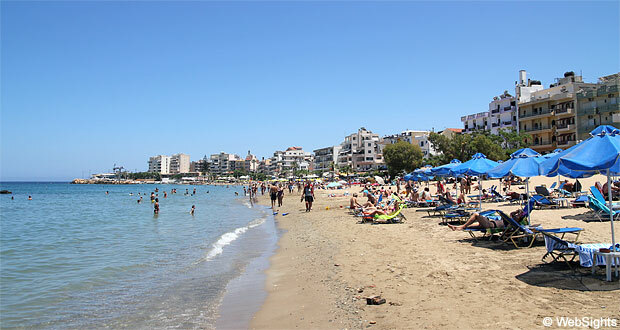 It is the second largest town in Crete and one of Crete’s two international airports is located to the northeast of the town. 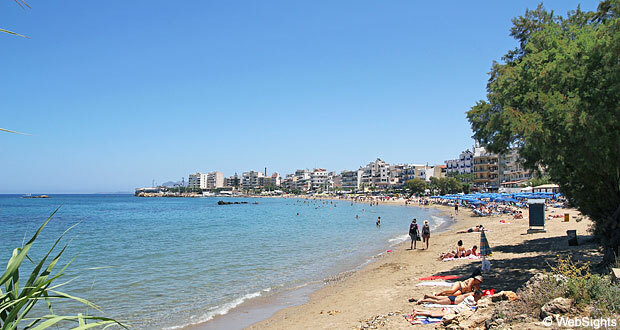 The best beach in Chania is located in the western part of town. It is a lovely town beach, where tourist shops, restaurants and cafés contribute to a lively and recreational atmosphere. The main part of the beach is covered with golden sand, with only a few pebbles. However, there are pebbles the first few metres into the water. 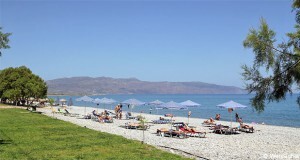 The beach has all the usual facilities, such as sun lounges, sunshades, showers and changing facilities. If you need anything, there are several mini markets nearby. Only 300 metres to the west, you will find a large natural beach. The beach does not have quite as many facilities, but it is also less crowded. 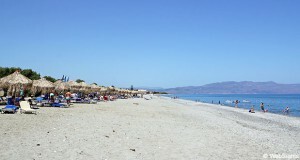 Even further to the west, but still within walking distance from Chania, you will find the lovely beach Chrysi Akti. Lovely soft sand to play in and relatively shallow water. Unfortunately, there are pebbles a few metres into the water, so bathing shoes for the children would be a good idea. 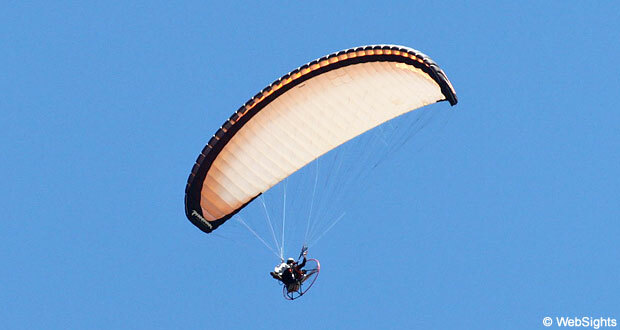 There are a few water sports activities at the beach, but not any of the wild types such as jet skis or banana boat. You will find a lot of restaurants, cafés and bars behind the beach. The heart of Chania is the lovely Venetian harbour surrounded by nice restaurants and cafés. Many people find the harbour area similar to Venice. Close to the harbour is also the Turkish mosque and the ancient lighthouse. Behind the harbour, you will find the old quarter surrounded by the remains of the historic town walls. Here is a wealth of interesting shops, and a day will pass quickly in Chania. Particularly if you would also like to take a dip in the water and cool down a little. The hotels in Chania are often quite small and family-owned hotels. The large family hotels with giant pool areas and various activities are located on the outskirts of town and along the Chania Coast. 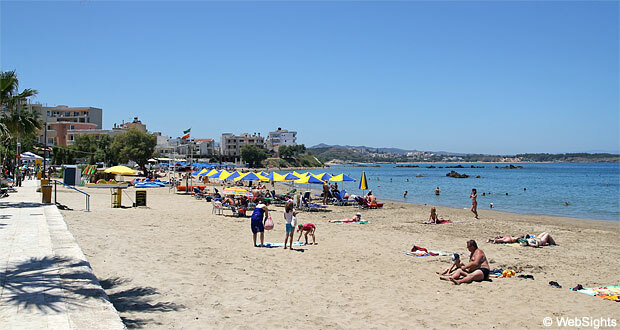 The main beach is located in the western part of town, on the right side of the map. In the middle of the bay, there is a natural beach, and all the way to the left of the map, you can see the Chrysi Akti Beach.